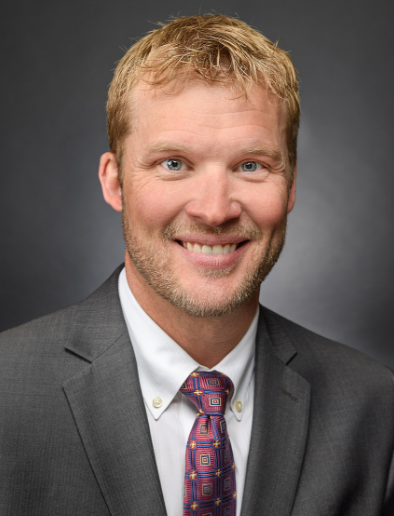 Scott M. Holthusen, MD, specializes in all aspects of foot and ankle care including arthroscopy, complex reconstruction, total ankle replacement, trauma, and nonoperative management. His other interests include general orthopedic care with an emphasis on fracture management and arthritis treatment. I had a big fall rock climbing and fractured my ankle in multiple places along with severing part of a tendon. After a year of healing things still weren’t right and I went to see Dr. Holthusen. He completed the surgery and the staff was amazing. They are very attentive to patients and genuinely care about your health. On July 6, 2017, Dr. Holthusen performed surgery on my left Achilles heel and removed a bone spur. I had suffered for over 2 years, including a year of physical therapy and two cortisone injections. Through all of this, it continued to get worse. I finally saw Dr. Holthusen and we agreed surgery was necessary. Today (10/12/2017) I saw Dr. Holthusen, my ankle and foot are doing great and I am able to walk without pain. I went through physical therapy at Ridgeview and my therapist, Greg, was awesome. I am so pleased with my outcome. Thank you to Dr. Holthusen for doing a great job on my Achilles heel and removing the bone spur. My healing progress has been absolutely remarkable. I am walking 2 miles 3 -4 times a week, and doing stationery bike for 5 minutes. Thank you for giving me the ability to walk again and to have the quality of life I have desired for so long. I want to personally thank Dr. Holthusen for his excellent care and expertise with my 16 year old daughter. My daughter had her foot repaired and a bunion removed via surgery with Dr. Holthusen last October. Dr. Holthusen’s expertise made both my daughter and I feel confident right at the beginning of planning her surgery. He took wonderful care of my daughter during surgery and in the months that followed during her recovery. My daughter experienced very little pain post surgery and never suffered during the healing process. Dr. Holthusen’s thorough follow up for four months post surgery gave my daughter the reassurance of her progress. She is now fully healed, walking running and active with no pain. And she can now wear fancy shoes all thanks to Dr. Holthusen. Thank you so much for taking such great care of my treasure! I would refer Dr. Holthusen to everyone! As a very active competitive water skier breaking my ankle was not good news. Dr. Holthusen not only gave me very detailed information about my injury but he also took the time to make sure I understood the consequences of several options I had in terms of repair and treatment. In the end the surgical repair was top notch and the follow up care and direction was most helpful. I am back skiing with absolutely no loss of movement or strength. I would highly recommend Dr. Holthusen for any injury dealing with your lower extremities. He is thoughtful, thorough, and highly skilled.